Pashupatinath – Great Hindus holy Temple. 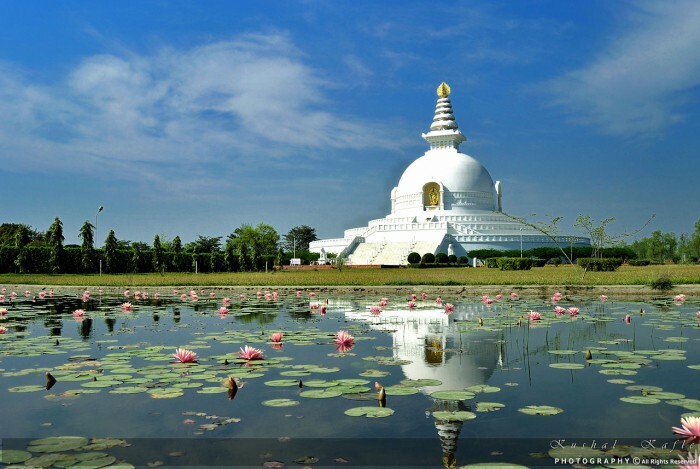 Lumbini – Birth Place of Lord Gautam Budda. Ashoka Piller, Maya Devi Temple, The Crane Sanctuary. Purely a Buddhist site, Lumbini has to do a lot with tourism development in the country. The liveliness in the city proved flexibility in the sector. So, we came up with Lumbini Sightseeing Tour that shall ultimately take you to the birthplace of Lord Gautam Buddha. The holy site is primarily meant for followers of Buddhism. However, pilgrims of any region can visit there. Monuments that lay around the city are all devoted to Buddha. He paved the path of peace and non – violence through a significant phase of meditation, after which, he was found since he was lost from his home town. This legendary deity led a major portion of world’s population towards the path of wisdom. He discouraged viciousness and animal sacrifices in the globe. He believed that every life has an equal value and everyone has the right to live. Several major attractions lie around the city for tourism purposes. The Puskarini Pond, where mother of Siddhartha Gautam took her first holy dip upon her child’s birth. The Maya Devi Temple, which is completely dedicated to his mother. Furthermore, a large monastic zone is being built in the city where only shrines and monument related to Buddhist are to be constructed and not any public houses or buildings. Any extra expenses not mentioned in the cost include section.